The Hebrew Sheltering Society had its beginnings in 1908, when Isidore Shepard joined with Victor Harris, editor of the B’nai B’rith Messenger, to put out a call for a hachnosas orchim — a temporary home for poor Jewish newcomers looking for employment. By 1910, the Hebrew Sheltering Society was a functioning, incorporated entity. The Association had 25 temporary clients, both homeless and aged. In either 1914 or 1916, the Association had raised enough money to purchase the Glass family house in Boyle Heights. In 1915, the Society became known as The Hebrew Sheltering and Home of Aged Association. The Home, in Boyle Heights, grew to 350 residents. However, the shifting Jewish population required a move westward into the San Fernando Valley. 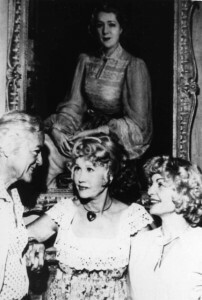 In Reseda, there was already the Industrial Center for the Aged, which was converted to the California Home for the Aged, and eventually became Menorah Village. In 1976, the Boyle Heights facility was moved to the “Valley” — a short distance away from the California Home. 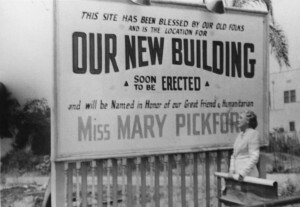 Shortly thereafter the two facilities merged becoming The Jewish Home for the Aging of Greater Los Angeles. Today the name has been simplified to the Los Angeles Jewish Home, which comprises Grancell Village and Eisenberg Village, the two Reseda sites. The Los Angeles Jewish Home now includes a special care center for Alzheimer’s patients, a modern medical center, and a new facility, Fountainview, for independent senior living. 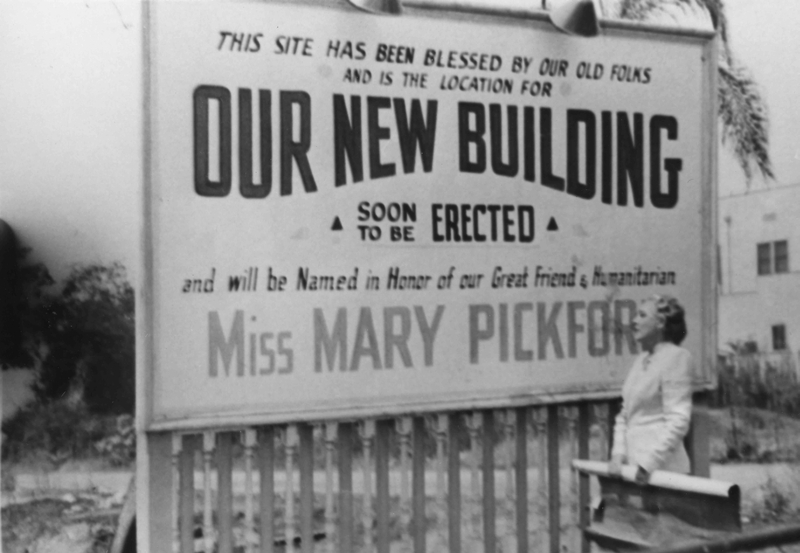 Famous movie star Mary Pickford was a lifelong supporter of the Jewish Homes. Although not Jewish herself, she often mentioned that Jewish movie producers gave her both her fame and fortune. Norton B. Stern and William M. Kramer, “Early History of the Jewish Homes for the Aging of Greater Los Angeles,” Western States Jewish History 18/2.